Another SQL Blog - Jason Yousef: SSRS - Subscription comments location. Sharing my daily SQL and BI thoughts. 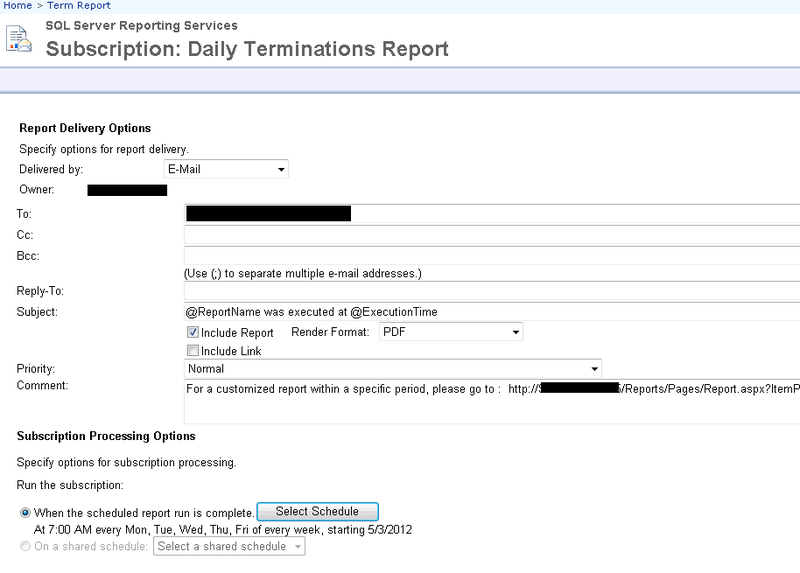 SSRS - Subscription comments location. Today I was facing a client's problem in SSRS to edit the comments text for over 120 reports to point to a server name (Host Name) instead of IP, to begin with, it was a bad idea and judgment from the person who created the report. and secondly it's rarely to see a server that gets an IP change too! But the two issues could happen and it's ok, let's face it and fix it. Here's a screen shot, If you're not familiar with the subscription comments. just replace the text using your T-SQL query and you're done! the data type of that column in nText, so it won't with T-SQL replace function.